Over the past 25 years, The Parlour Steakhouse has become a popular destination for discriminating diners alike and is considered one of the most outstanding restaurants in all of Stratford. Perfectly situated in a beautiful heritage building in the heart of downtown Stratford, The Parlour Steakhouse is just steps from picturesque parks, quaint shops and boutiques. The Parlour is recognized for its outstanding cuisine and award-winning customer service. With a dining room that seats 240, The Parlour Steakhouse features beautiful vintage features in a classic setting. We are proud to provide a menu that combines classic favourites alongside contemporary, creative and innovative dishes. The casual lounge, inviting patio and the large selection of draughts makes for the ideal location to get together with friends and family to enjoy a delicious meal in the heart of Stratford. 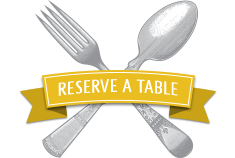 Reserve your table and experience all that The Parlour Steakhouse has to offer firsthand. Whether you're celebrating a momentous occasion with friends and family, relaxing between performances at the infamous Stratford Festival, or simply looking to enjoy a delicious meal in downtown Stratford, we invite you to gather your loved ones and see why we have been a local and Stratford Festival favourite for over 25 years. If you're planning a private function, event, meeting or even a wedding, contact our team of Catering Specialists. 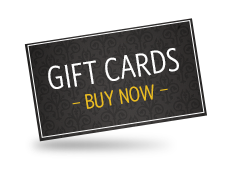 The Parlour Steakhouse offers the most inviting and intimate of settings for your special event. 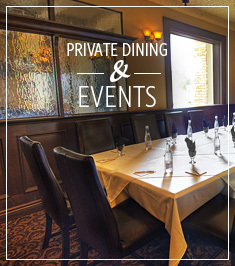 For groups both large and small, we offer private dining rooms to suit your needs. Our Catering Specialists also provide catering services for events offsite and will help build the perfect menu pairing for your event. For a premier dining experience in the heart of Stratford, visit The Parlour Steakhouse and find out why we've been a local favourite for over 25 years.